Iconic tone in a limited edition amazing design. The Princeton, in its most classic form, has been revered as a stage and studio must-have, and its presence on the most famous albums and riveting stage shows of all time further substantiates that claim. Clearly, its rich tone and responsiveness have given it an unmistakable voice. 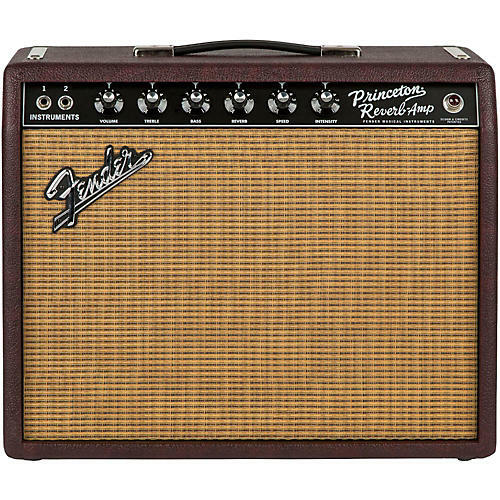 Fender’s latest partnership with Musician’s Friend and Guitar Center, however, proves that even the most perfect amplifier has room for modification. The Bordeaux Reserve is available exclusively at select Guitar Center locations as well as MusiciansFriend.com and GuitarCenter.com. Dimensions: 19.75 x 16 x 9.5 in.